Home » Waterproofing and Roofing Blog » General » How Injection Waterproofing Works? There has been an advancement in waterproofing technologies over the years. Such technologies have been used to make quality equipment and materials for repairing concrete cracks. It includes concrete cracks on walls, slabs, and in foundations of a building. Without the injection waterproofing, concrete repair and maintenance would have been very expensive and difficult. The materials that are used to repair the concrete cracks are epoxy and polyurethane resin. Whether the polyurethane or epoxy is being used, the injection process is similar. Time to be consumed will depend on the size of the crack and physical conditions. Mounting injection ports make the repair process easier because it eliminates the drilling process. The drilling process involves more time to clean up the area after fixing the waterproof material. The ports are made of strong plastic material with a flat base that is placed in the cracked part of the surface. It is then mounted with the paste, either epoxy or polyurethane resin. Depending on the size of the crack, the tubes are placed a few inches apart for perfect covering. Use the paste to seal the port area and the open cracks. Leave the paste to stick to a maximum of 45 minutes. Allowing the paste to cure, will enable it to bond more and to be able to withstand injection pressure. While sealing the surface, we cover the remaining exposed cracks with the paste and leave the ports standing. This is the most technical part of the injection waterproofing process. We begin injecting the paste from the lowest tube going towards the highest installed port. The injection continues until the past begins to come out of the tube. This is a sign to show that the crack has been fully filled with the paste. We then start removing the ports, one at a time and filling the space with paste until the whole crack is fully covered. After covering the whole crack, we compress the past at uniform pressure to mount the paste. This step is significant because it will reduce the chances of future leakages from the crack. Also, it allows to penetrate and stick in the cracked areas. This is an alternative waterproofing process that we use for repairing concrete cracks. Instead of using the plastic ports, we drill holes around the cracked area. The number of holes to drill depends on the thickness of the wall and the size of the crack. We ensure that we drill the holes correctly because if not done well, the entire injection process will be in vain. We prefer drilling the holes at 45 degrees angle because it will help us reach the target while injecting the paste. After drilling, we usually flush out water through the holes to the cracks to estimate how far the past will go. Also, flushing water through the crack removes soil particles and dust that would hinder the paste from sticking well. It is crucial for the holes to be uniformly spaced to inject the paste throughout the crack. After ensuring that the holes are well drilled, and the cracks are free of dust, we use pressurized injection to insert the paste. Excess pressure is added for repairing cavities in the foundation. This is a professional method that we use to protect the basement foundation from moisture accumulation and dampness. A well done injection waterproofing repair will prevent moisture and water molecules from permeating through the surface. 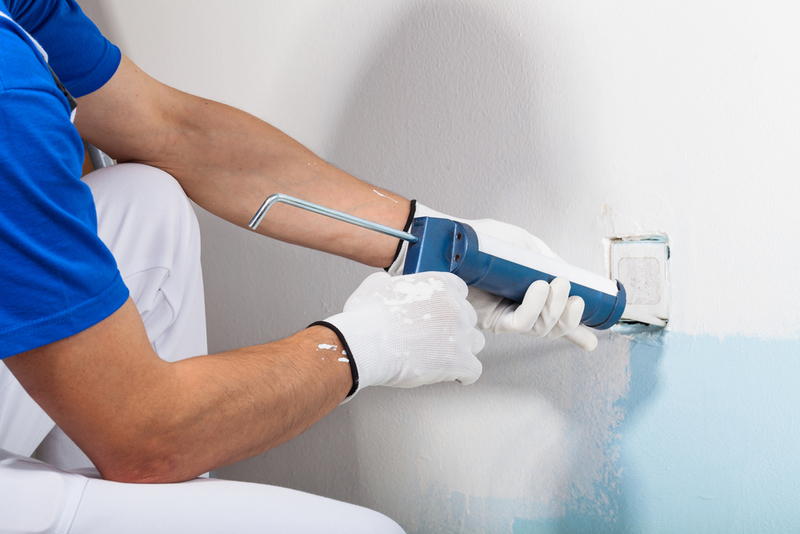 Injection waterproofing process is an effective way of repairing cracks and cavities in concrete walls. It has proven to be a simple, inexpensive, and durable process for house maintenance and repair. It eliminates basement and wall leakage and seepage and prevents moisture damages. Another advantage is that the injection paste does not shrink like cement. Therefore, it will expand and fill all the voids in the crack. Given enough time to cure, the cracks will be permanently closed for a long period of time. Our team is highly skilled in injection waterproofing techniques. Hire us today, and we will give you the best waterproofing service at affordable prices. Remember working with experts is advantageous because it will save you future maintenance costs. Call us today!